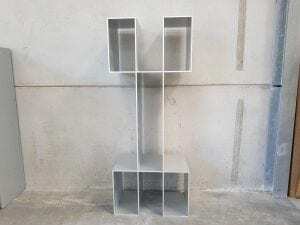 This quirky silver shelving unit is the perfect platform for showcasing curios and books to add personality to a room. 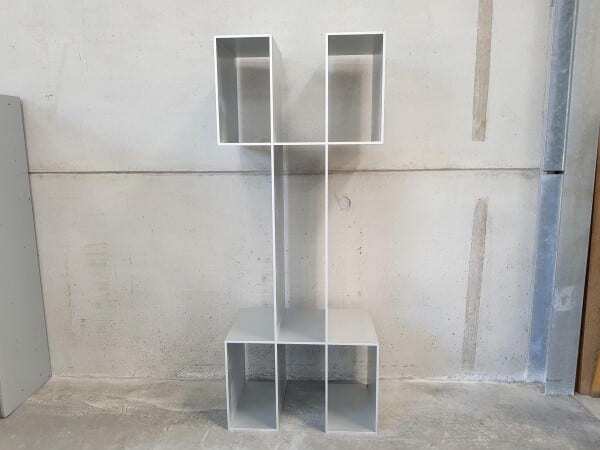 Versatile in nature, this shelving unit could also potentially be used as a room divider. As always, you can view this shelving unit in our showroom along with all our other used office furniture.